A classic style has returned. 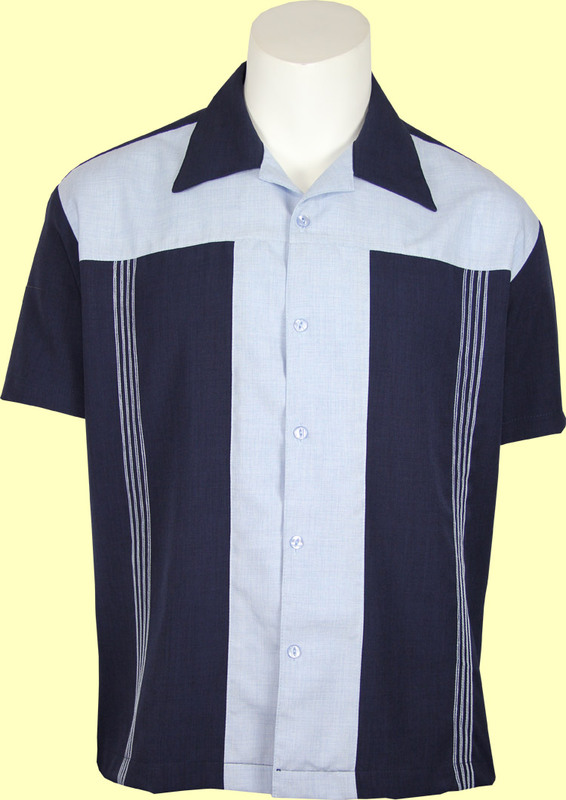 This navy blue shirt features light blue front yoke and button area and light blue stitching. A very nice low maintenance fabric as well.